ACYBA EURO 2016 - BET ON THE WINNER AND EARN YOUR LICENSE! TOPIC: ACYBA EURO 2016 - BET ON THE WINNER AND EARN YOUR LICENSE! 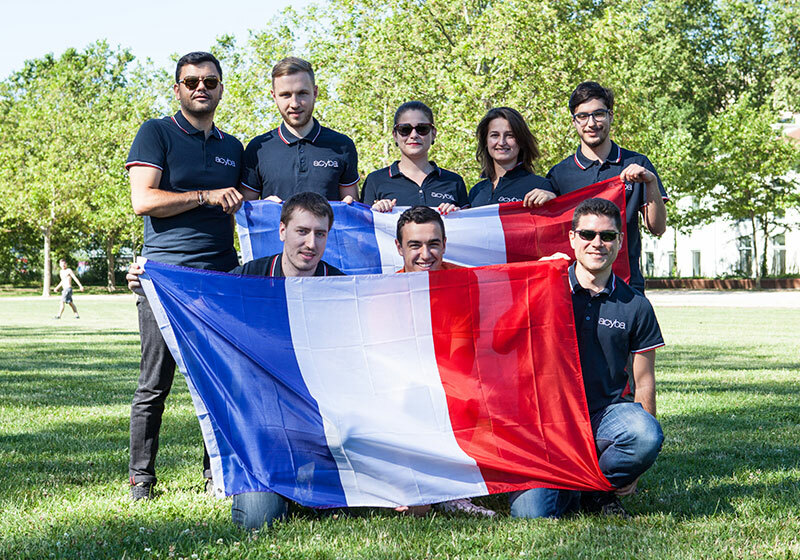 As you might know, our whole team comes from France; the country which hosts the UEFA EURO 2016. This competition is a great opportunity to share good moments with people from other countries and we wanted to bring this happiness to our Acyba Community! So we thought about some betting on the EURO 2016. One question : WHO'S GOING TO WIN THE CUP? How can I participate? and what can I win? Winners will be chosen by drawing lots to earn : 1 Enterprise version of AcyMailing, 2 Essential versions of AcyMailing, 1 AcySMS credit pack. All good answers will win an AcyMailing Enterprise! In case of penalty shootout, all bets are cancelled. Last Edit: 2 years 9 months ago by sylvainlaffont. WINNER : FRANCE for sure ! What do you guys, think about it ? Last Edit: 2 years 9 months ago by Alexandre. Last Edit: 2 years 9 months ago by Anonymous user. Who are we kidding, the winner will be Germany! Good luck to everyone and let the best win! Congratulations "Mirmih" and "Viocassel" ! An AcyMailing Enterprise licence has been assigned to your accounts ! Thanks Acyba Team for the AcyMailing Enterprise licence! It was a great championship UEFA EURO 2016! I bet for Portugal because they have luck all the euro 2016. All wins was just a luck. But that is the game. Someone win, someone lose. To this moment I am using free version. That is the moment to test your Enterprise version.